What Does Revelation 17:14 Mean? 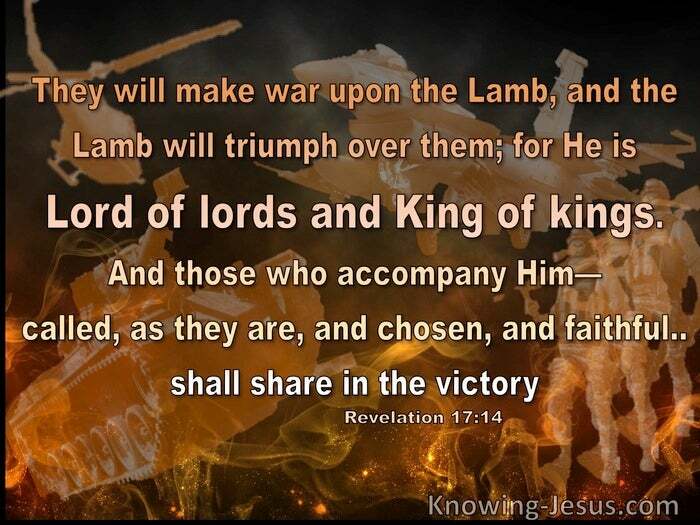 They will make war upon the Lamb, and the Lamb will triumph over them; for He is Lord of lords and King of kings. And those who accompany Him--called, as they are, and chosen, and faithful--shall share in the victory." 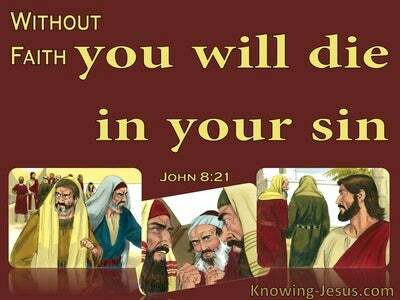 Jesus told us that in this world we will suffer tribulation.. at the hand of our enemies and through the wiles of satanic forces in high places. They will seek to destroy and discourage us, but we are saved by grace through faith in Christ and are not appointed to wrath. As Church-age believers we will not have the wrath of God poured out on us during that fast-approaching time of Jacob's Trouble - that seven-year tribulation period, when the Lord pours out His wrath on a God-hating, Christ-rejecting, satanically inspired, sinful world. 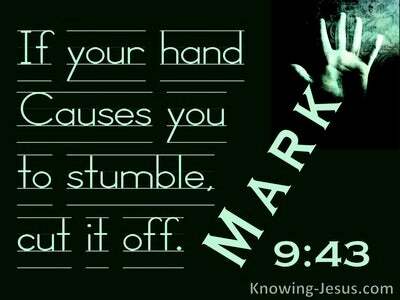 But that coming time of great tribulation is fast approaching and we are seeing evidence of its imminence throughout our earth. The world-stage is being set.. for that final global battle, when the kingdoms of this world become the kingdom of our Lord and of His Christ. The great whore of Babylon will be destroyed - that satanically established religious and economic system, which continues to persecute the true Church of God.. and which has flourished down through centuries of time and will finally dominate the world in the coming 70th week of Daniel. Verse 12 explains that the ten horns are the ten kings who give their authority and power into the hands of the 'beast' - that satanically inspired ruler, who will emerge as the man of sin; the antichrist. 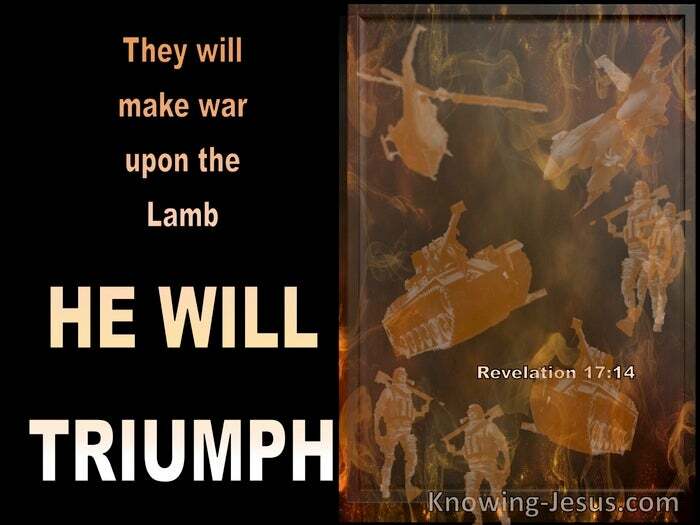 Together they will make war on: 'the Lamb' Who takes away the sin of the world, through His shed blood at Calvary. But the sacrificial Lamb of God, Who was slain from the foundation of the world, is also the Lion of the tribe of Judah. He is the King of kings and Lord of lord - the Alpha and the Omega - the great I AM. 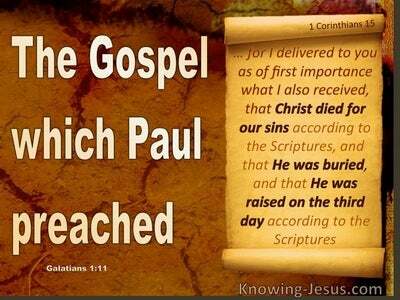 Many speculate about the identity of this 'man of sin', but the Bible tells us that he will remain unidentified until the Church is removed from the earth at the end of this dispensation of grace. At the present moment.. evil is being restrained, through Christ's ministers of reconciliation - a ministry given to the Church. 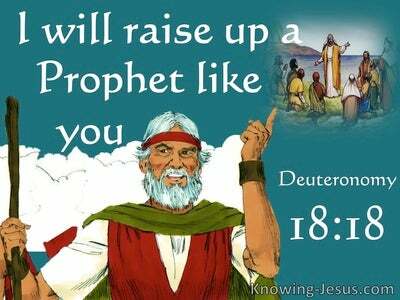 But the day is coming when God will remove His Church from the world and once again will begin to work through His people Israel.. some of whom will recognise Christ as Messiah and who will once more preach the message of John the Baptist worldwide: REPENT, for the Kingdom of heaven is nigh. Although many in Israel are chosen and faithful.. it is the Church who are the chosen and faithful in this particular verse, who will accompany the Lord Jesus when He comes from heaven to destroy this satanic one-world system. at the battle of Armageddon.. and it is the armies of heaven (the Church) who are the called, chosen and faithful, who will be returning with Christ ..
Enoch prophesised of this event when he said: Behold, the Lord came with many thousands of His holy ones. It is the Church-age saints who are clothed in linen, white and clean, who follow the Lord Jesus on white horses - and we read that out of His mouth goeth a sharp sword, that with it He should smite the nations: and He shall rule them with a rod of iron: and He treads the wine-press of the fierceness and wrath of Almighty God. No matter what man tries to do to scupper the plans and purposes of God there is no created thing in heaven above.. the earth beneath or the waters under the earth - either visible or invisible that can separate us from the love of God which is ours in Christ Jesus.. and nothing can halt God's purposes from being finally and fully fulfilled - praise His holy name.